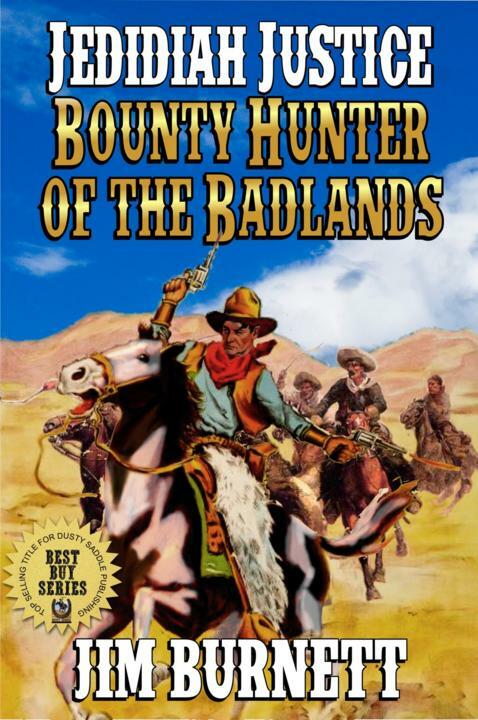 Across the frontier rode a breed of men that was so dangerous and animal-like that even some lawmen and bounty hunters refused to hunt them, regardless of the large reward on their heads. They were killers without a conscience with an insatiable thirst for blood. They were the worst of the worst. But there was a man, Jedidiah Justice, who vowed to rid the world of their kind. He was the bounty hunter of the badlands. There was no where he wouldn’t go and no man he wouldn’t hunt. He was God’s long arm of judgment that reached far and wide into the wastelands and lairs to extract these killers. Ride along with Justice as he beds some of them down and brings others to trial.